SAN FRANCISCO -- Get ready to say good riddance to the checkout line. "It could be scary, and it could be creepy," says Peter Trepp, CEO of FaceFirst, a Los Angeles company that so far has only sold its facial recognition tools to retailers trying to identify shoplifters and other criminals. "But if it's used to give people a 30 per cent coupon on something they want that is going to be a nice benefit. That kind of experience will help people embrace the technology." 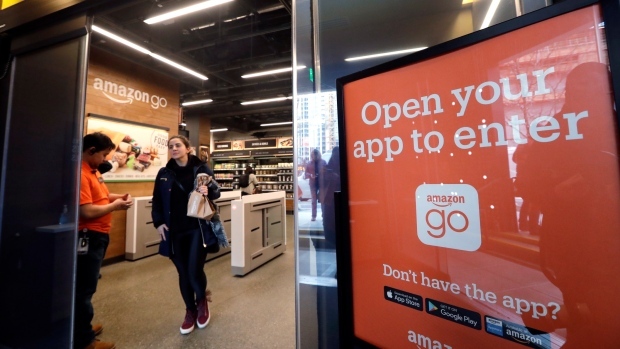 Amazon appears the most likely to make cashier-less stores a more common sight, partly because it can afford to open stores with the technology already built into them, given its current market value of about $800 billion -- ranking among the most valuable companies in the world.